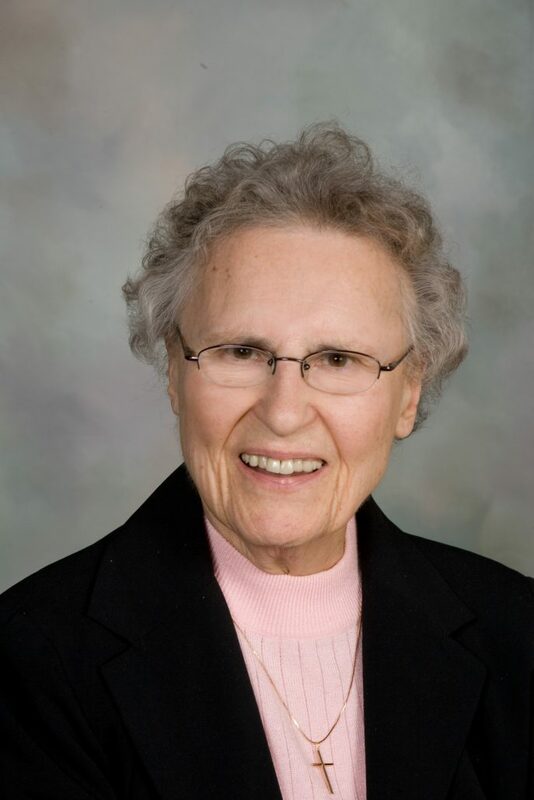 The Eucharist of Christian Burial will be celebrated at 3:30 p.m. on Tuesday, February 27, 2018, at the Sacred Heart Chapel, Saint Benedict’s Monastery, St. Joseph, Minn., for S. Miriam (Mary) Ardolf, who died, age 83, on February 22, 2018, at Saint Scholastica Convent, St. Cloud, Minn. Burial of cremated remains will be in the monastery cemetery. Friends may call at Saint Scholastica Convent on Monday, February 26, from 1-4:30 p.m., or for a Vigil Prayer Service at 7 p.m. at Saint Benedict’s Monastery. Visitation continues at 9 a.m. on February 27 until the time of the funeral. Mary Ardolf was born September 27, 1934, to Albert and Cecelia (Pavlish) Ardolf at Silver Lake, Minn., where she attended St. Joseph Grade School and Silver Lake High School. She entered Saint Benedict’s Monastery on September 7, 1953, was received into the novitiate on June 16, 1954, taking the name Sister Miriam, made first monastic profession on July 11, 1955, and perpetual monastic profession on July 11, 1958. A woman of many gifts, S. Miriam served as an educator, a counselor and in business and finance. She taught bookkeeping at Cathedral High School (CHS) in St. Cloud and also served as a counselor at CHS and at St. Joseph High School in Ogden, Utah. After returning to Minnesota, she was coordinator of retirement and did counseling work at Saint Benedict’s High School, the monastery and at St. Anthony’s Personal Growth Program in St. Cloud. From 1977, S. Miriam ministered in business and finances as the assistant treasurer and business office manager at Saint Benedict’s Monastery. She then moved to CSB as executive financial officer, while at the same time acting as investment officer for Saint Benedict’s Monastery. She also served at CSB as vice-president of finance and as director of community relations and auxiliary services. In 2002, S. Miriam began a ministry as donor relations specialist in the Office of Mission Advancement at Saint Benedict’s Monastery, which continued up to the time of her death. She also served on the Saint Cloud Hospital and CentraCare Boards for 43 years, Assumption Nursing Home Board in Cold Spring, Minn., and on the Advisory Board of Northwestern Bank in Minneapolis, as well as being an active member of the St. Cloud Chamber. In addition to her Benedictine community, S. Miriam is survived by nieces and nephews. She was preceded in death by her parents, three brothers, Leo, Eugene and Father Edward, and by two sisters, Joanne Ardolf Decker and an infant sister.